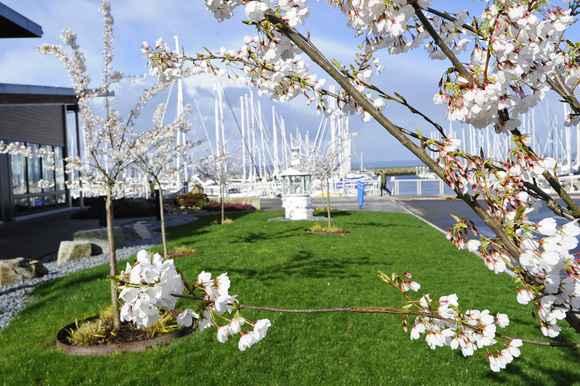 Welcome to the Shilshole Bay Marina newsletter, a community resource covering marina news, tips, and Port of Seattle opportunities. The Spring Aboard campaign is a nationally coordinated effort that aims to get boaters educated in boating safety before the boating season begins. Spring Aboard is coordinated by the National Association of State Boating Law Administrators in partnership with the U.S. Coast Guard as well as participating partners. Summer is quickly approaching. Take advantage of the cooler weather to prepare for boating season and enroll in a boating safety course! 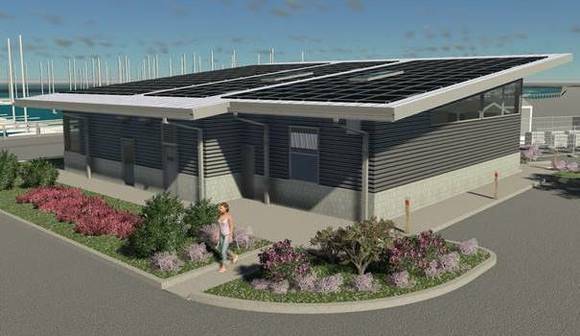 On February 26 the Port Commission approved $2.9 million in additional funds to move ahead with the new Customer Service Buildings and Paving projects at Shilshole Bay Marina. The construction bids came in above the engineer’s estimate which required the project team to adjust the project scope in a way that preserved the elements which most directly benefit tenants and customers. The project includes two large, multi-use buildings in the south and central areas of the marina (restroom, shower, and laundry at 2,700 square feet each), plus the smaller restroom/shower-only building at the north end of the facility (700 square feet).The larger buildings include ADA accessible restrooms, along with family all-gender restrooms with shower facilities that will also be ADA accessible. The larger buildings also include laundry areas larger than the existing facilities with room for further expansion. The number of showers significantly increase and the laundry more than doubles. These were top priorities in outreach feedback. The parking lot paving project remains unchanged. The project team recommendation does eliminate exterior decorative lighting, geothermal heat, conversion of M2, M5 for storage and bike storage attached to the new buildings. The air source heat system that will be used offers an equally efficient and sustainable option, but at a lower cost. Overall, these reductions resulted in a savings of $1.1 million. The project will also preserve or relocate the existing North pea patch and will review options for bike storage. Construction will start in August, 2019 with expected completion in May, 2020. All current restroom/showers/laundry facilities will remain open during construction. Look for display boards in the marina office this Spring. The boards will include drawings of the interiors, exteriors, and samples of the materials that will be used for the finishes. 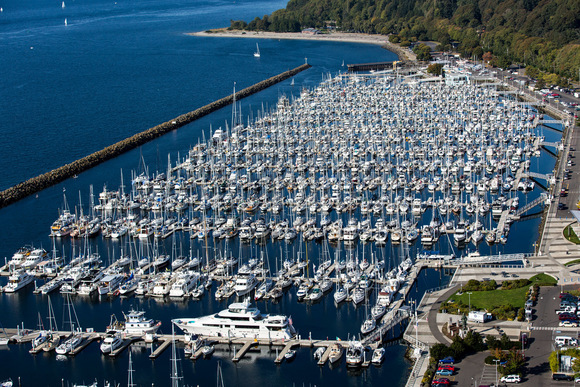 Ecco Wireless USA Inc. is proud to service Shilshole Bay Marina with a new broadband wireless service with a high capacity backbone and next generation wireless equipment, that offers both "hotspot" and "fixed" wireless services. Please call (231) 346-7323 or email sales@eccowireless.com for any sales questions that you may have or to arrange an installation appointment. 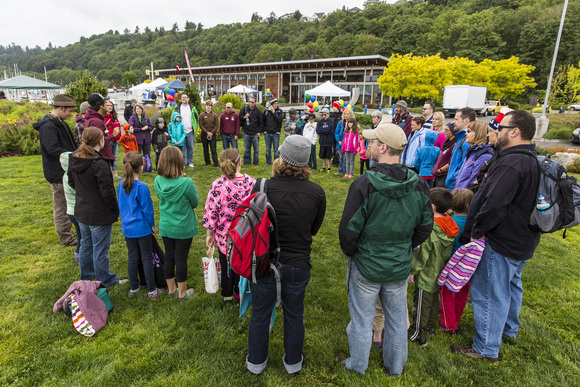 Celebrate Earth Day at Shilshole Bay Marina on April 20 from 9am - 1pm. Trawlerfest at Bell Harbor Marina on April 23-27 Trawlerfest features an impressive in-water selection of new and pre-owned cruising powerboats, the latest in marine gear and services, and first-class education and demonstrations. 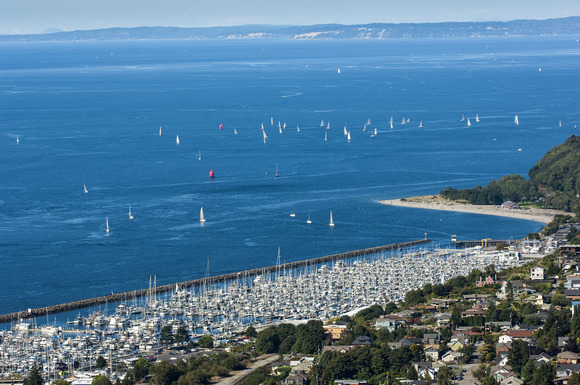 Shilshole Boatfest: Seas the Bay! Shilshole Boatfest on June 8 is an event to get people out on the water. A chance for free boat rides, kayak tours, liveaboard vessel tours, and to celebrate the largest boating community in the west coast, Shilshole Bay Marina. Ballard SeafoodFest is a Ballard tradition since 1974. Experience amazing seafood, music, Ballard brews, and more on July 12- 14. Subscribe to Connections, the Port of Seattle newsletter.